BlackBerry PlayBook hands on video | BlackBerry Blast! 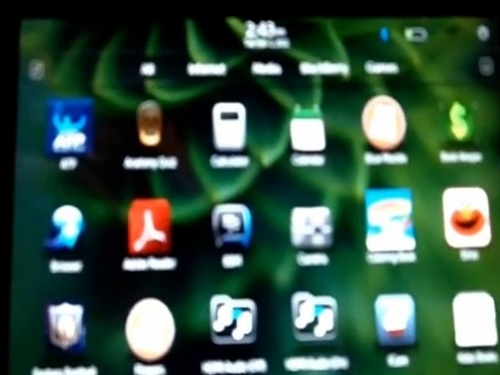 Check out this in depth hands on video with the BlackBerry Playbook from Lotusphere. This is one of the best videos I've seen of the PlayBook so far, even though it's a little blurry. They even show off the PlayBook in portrait mode, and talk about how easy it is to type that way. Frankly, it looks just as easy as typing on the iPad if not easier. IThe PlayBook isn't as wide as the iPad so it seems like it's easier to hold.